Now if there is one thing I know well, it would be burgers! I am a huge burger fan! After a long day of work in the hot L.A heat I took to a nice burger… and too my surprise, a nasty little pickle found its way into my mouth, Suddenly the idea came to me, I need to let the people of NS4W know where to get their hands on a good burger when they come to visit L.A! Thus began Spencer’s Burger Beatdown, where I will visit a particular burger joint and give them the praise they deserve, or let them have it! That way you can take my advice and treat yourself! Let the beat-down begin! Lets talk about what you really care about, the food! The burgers are the bomb! I would say that after having it everyday for a few months, you start to lose a taste for it, but the first time you have it, you will be in love! Fatburger has all sorts of fun ingredients and toppings that you can choose from! They have four types of cheeses to choose from, bacon ( a necessary ingredient to get anywhere on the burger beatdown), guacamole, chili ,eggs, pineapple, and even grilled mushrooms if your crazy. Then of course your basic stuff, lettuce, pickles (eww), tomatoes, and so on. My burger of choice is nothing too crazy, because honestly I am not in the mood for anything that might have the chance of ruining the taste. I mean Fatburger already has the power to put you to sleep, which is why I never go to Fatburger before I do homework because nothing, I repeat NOTHING will get done after a visit to Fatburger. Anyways, a large fat (8 oz of pure lean beef awww yeah!) with lettuce, american cheese, bacon, and raw onions is my go to burger. Nothing too crazy and no, I do not do condiments. I just don’t trust sauce and don’t even bother with your chunky pickle relish nonsense. There are also several other choices on the menu such as the turkey burger or the cajun chicken sandwich. Don’t forget the chili cup, the chili dog, homemade onion rings, or the “Fat Salad” (man I feel full just writing this…). Now if you are in for a challenge, you can put your stomach to the test and try the XL Fatburger. Basically if you consume 24 oz of burger, you can get your pretty picture on the wall and a fancy certificate. I assume you get a free meal or something but hey, burgers don’t grow on trees around here! All in all, I would say that Fatburger passes the Burger Beatdown test! 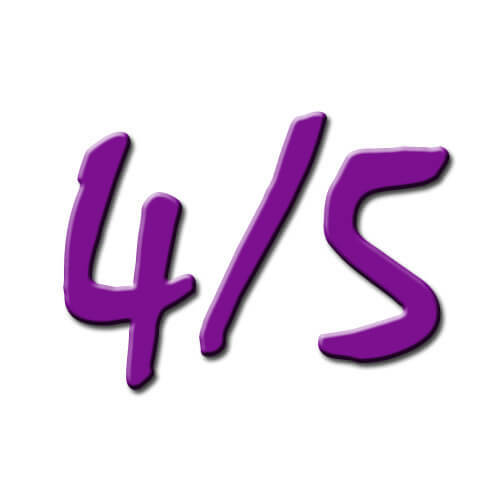 For a official score I would say a 4/5 stars. Yes it tastes amazing, but something about it just leaves you feeling so exhausted. Also, I can say that it kind of hurts my feelings when I have to pay extra. You know I am going to ask for it… All in all, it’s pretty good for how fast you get it! Shout out to the Fatburger in Downtown L.A for being there for me whenever I am stressed out over homework to be quite honest! 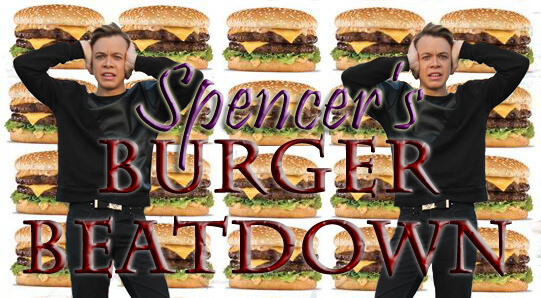 Have any suggestions of burger joints for Spencer to go visit? Feel free to drop a comment and give him a suggestion or defend your favorite burger! Embrace your burger pride!